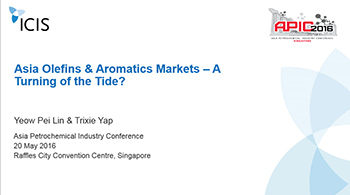 Asia olefins & aromatics markets – a turning of the tide? 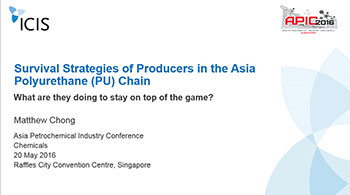 Survival strategies of producers in the Asia PU chain – what are they doing to stay on top of the game? Why have key demand drivers changed? 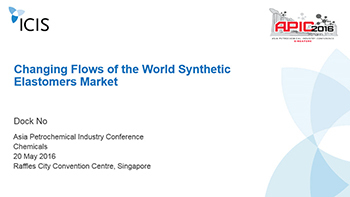 Have the fundamentals changed in the basic chemical industry? What’s in store for energy, refining and petrochemical feedstocks? 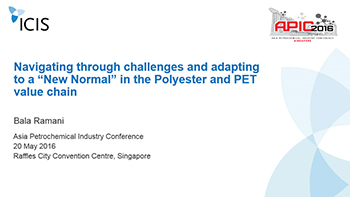 The interaction of natural and synthetic elastomers – a price substitution myth? Faced with continued volatility and growing competition from other regions such as the Middle East, Asia PU players must be savvy to stay ahead in the market. This presentation explores the market situation and strategies for survival. Benchmark your position and strengthen your negotiations, with accurate pricing intelligence from ICIS. Our price assessments for over 180 commodities are trusted by players worldwide. Stay abreast of market developments and make informed decisions, with independently verified news and updates on production, outages, shutdowns, capacities and more. Our extensive coverage of China-specific news, analysis and pricing coverage allows you to act confidently when participating in Chinese markets, with intelligence direct from the region. Look back and think ahead with access to historical, current and forecast pricing data. 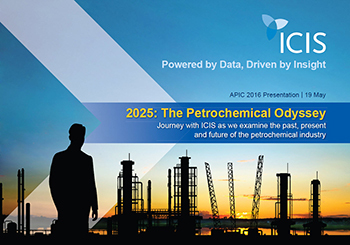 An online database giving an end-to-end perspective across the global petrochemical and refinery supply chain. Data includes import and export volumes, consumption, plant capacities, production and product trade flows – from 1978 up to 2030 – by product, country and region. The new study by ICIS and the independent UK chemicals consultancy, International eChem, is the culmination of five years of ground-breaking forecasting work. It provides a critical assessment of the present economic landscape and a roadmap for navigating towards future profit and growth.